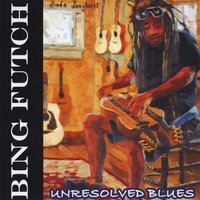 I just received the newest release, Unresolved Blues, from Bing Futch and it's a freewheeling acoustic ride. In 2015, he became the first mountain dulcimer player in the history of the International Blues Challenge in Memphis to advance to the semifinals and in 2016, he advanced to the finals, winning the "Best Guitarist" award. Opening with Robert Johnson's Sweet Home Chicago, Futch brings a solid boogie woogie beat with organ, percussion and bass support under solid vocals. Interstate 10 Blues has a really cool feel with Futch's vocals over a mountain dulcimer. Very nice. Juke Joint Hen has a mountain bluegrass sound with excellent finger work on his dulcimer. A reel like instrumental, this track is super. Harperville is played on resonator dulcimer giving it a metallic overtone on the dulcimer. Solid vocals and firm string work give this track authentic roots. Drinkin' and Drivin' Blues is smooth and slow. Nicely phrased blues solo on dulcimer make this one of my favorites. Tampa Red's It's Tight Like That has a great feel with nice slide resonator work. A terrific track as written, this track flies. Title track, Unresolved Blues, is a blues rocker with polished vocals, a full band sound and electric guitar solos. Nice acoustic blues, The Flip Side, is about as stripped down as it gets with warm solo vocal and acoustic accompaniment. Very nice. Traditional track, John Henry, is a really nicely executed acoustical instrumental. Excellent! That's What You Done To Me, has a cool blues drag with electric underlayment and Futch taking the melody on vocal. His string technique throughout is solid if not spectacular. Wrapping the release is Red-Headed Lover, an easy paced shuffle track. With a clean guitar lead and simple backing, Futch delivers vocally for a nice conclusion to a different take on the blues.